A photojournalist for the SL Newser, Ozymandius was also a featured artist at the Horus Art Gallery, the Sisse Singhs Art gallery and was an integral member of the MAGE Magazine creative team when he was shot down in front of his exhibition at the Windlight Art Gallery. Of course this is just Second Life role play, but the incident was inspired by Facebook’s ruling to delete the account of Ozymandius King who, a month after joining Facebook, had gained over 3,000 Facebook friends and developed a following of over 5,000 members for the MAGE Magazine Facebook group. It should be noted that, although there are several thousands of Facebook users using Second Life identities, Facebook has a policy that compels their subscribers to use their actual identity. While Facebook claims this is done for security reasons, people all over the world have protested this policy and continue to create Facebook accounts under false names. Despite these protests Facebook continues to delete the accounts of people who are unable to provide evidence that the name they use on their account is in fact their real name. Oddly enough, thousands of Facebook users continue to use stage names and Second Life identities as enforcing this policy would be too difficult and potentially detrimental to Facebook's bank book, as the company's net profit relies on its ability to provide an audience for companies that advertise with them. 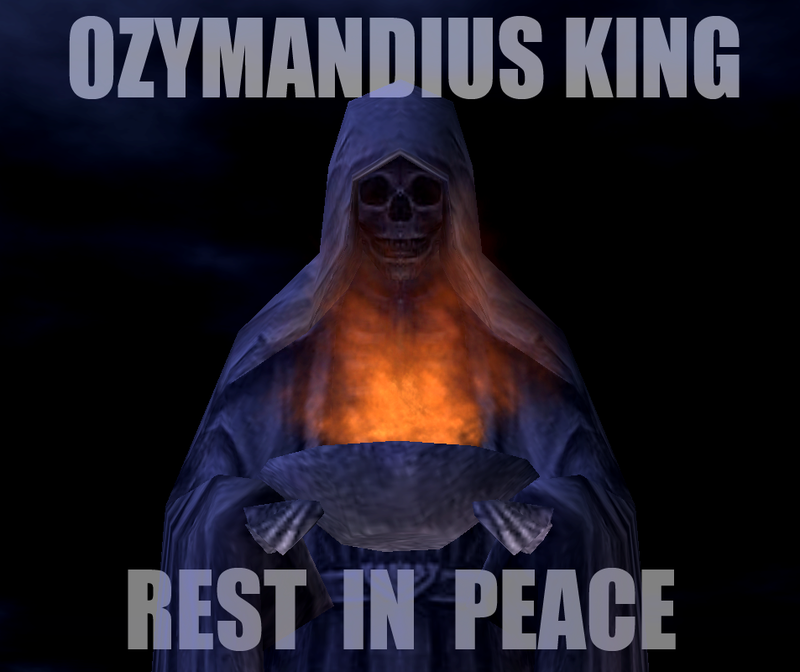 So, with Facebook turning a blind eye to the vast majority of their subscribers who use false names, why was Ozymandius King singled out? Dean : Do you believe that you were targeted by Facebook? If so, why? 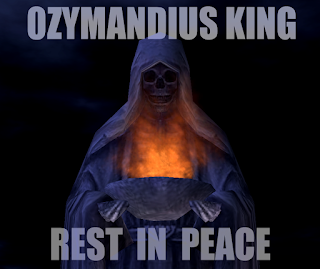 Ozymandius : I joined Facebook with the sole intention of publicizing MAGE Magazine. Facebook warned me against sending friend requests to people I didn’t know but then offered to promote my website to strangers if I paid them 20 dollars U.S. per day to get an estimated 14 - 50 extra likes ... This is a ridiculous hypocrisy so I ignored Facebook’s warning and sent out friend requests to people who I did not know. Over the course of the next month, more than 3,000 people accepted. One month after establishing the MAGE Magazine Group page we reached over 5,000 members and more than 500 likes and I didn’t pay a single red cent for any of this. This is not to be cheap, I appreciate Facebook has created this social networking website but MAGE Magazine simply doesn’t have the advertising budget to compete with Marvel Comics or the Disney Corporation so we need to grow our audience one Facebook friend at a time. If Facebook chooses to serve the corporations by limiting our freedom of speech, our right to be heard, then I hope this article reaches a billion friends and inspires them to demand a more democratic social networking system. Ozymandius : Yes, but this is a marketing campaign so the goal is to get people’s attention. I would like to state at this point that, when I was a journalist with the SL Newser, I conducted myself with the utmost integrity, but Second Life news, more often than not, is simply another form of advertising, as a journalist for the SL Enquirer I’m sure this is something you can relate to. Dean : Err…. Getting back to your alleged assassination, you parleyed this incident with Facebook into a story line for MAGE Magazine. Could you elaborate on this? Ozymandius : Figuratively it was like I was being murdered by Facebook because they were terminating my account, in essence, they were preventing me from reaching a rapidly growing audience. The creative team at MAGE Magazine decided to depict this as an actual assassination in which 0THELLA, the Editor of MAGE Magazine, becomes a prime suspect because, when ALDO the Private Investigator deduces, she was jealous of my success. 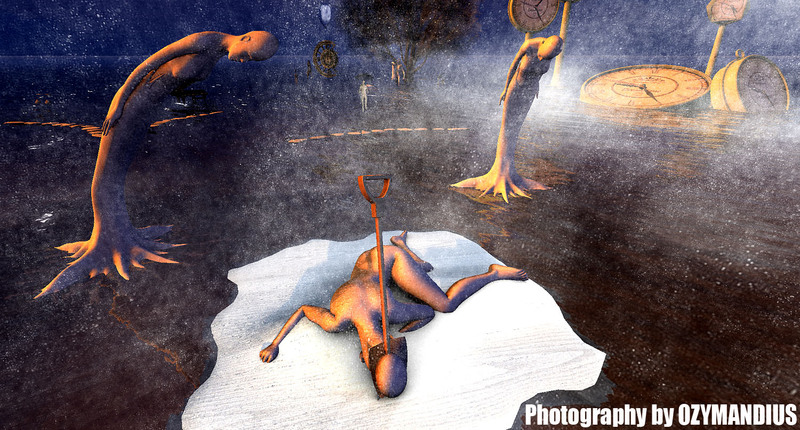 The reason for choosing the Windlight Art gallery as the scene of my murder was because, at the time, I had a fellowship exhibition with Windlight and we wanted to portray an artist being shot down just as he was starting to receive recognition for his work. Dean : Is your relationship with MAGE Magazine over, now that your Ozymandius character has been killed off? Ozymandius : Othella’s familiarity with soap opera plots proved to be invaluable in writing my character back from the dead but I don’t want to spoil the ending for your readers and would like to invite them to join the MAGE Magazine group to get their free subscription to our monthly magazine. Dean : Is there anything else you would like our reader’s to know about you? Ozymandius : I’m just a guy that likes to laugh and has a lot of fun being creative. Working with the artists at MAGE Magazine allows me to do both and I hope articles like these encourage others to join in the fun. Facebook's attempt to discourage people from friending strangers is ridiculous. If I want to keep in touch with people I already know I can send them messages, photos and videos through e-mail, so if I can't use Facebook to social network ( meeting people I don't already know ) then what good is it to me? Not only Facebook but, unfortunately Wikipedia and other websites that could potentially help start up companies compete against mega corporations choose to support the rich against the poor. "The Cosmic Net" by Ozymandius in MAGE Magazine Issue 12 totally freaked me out. I can't believe people are getting paid to write scripts like Independence Day when clearly a species intelligent enough to travel the cosmos would view humanity as little more than a speed bump.